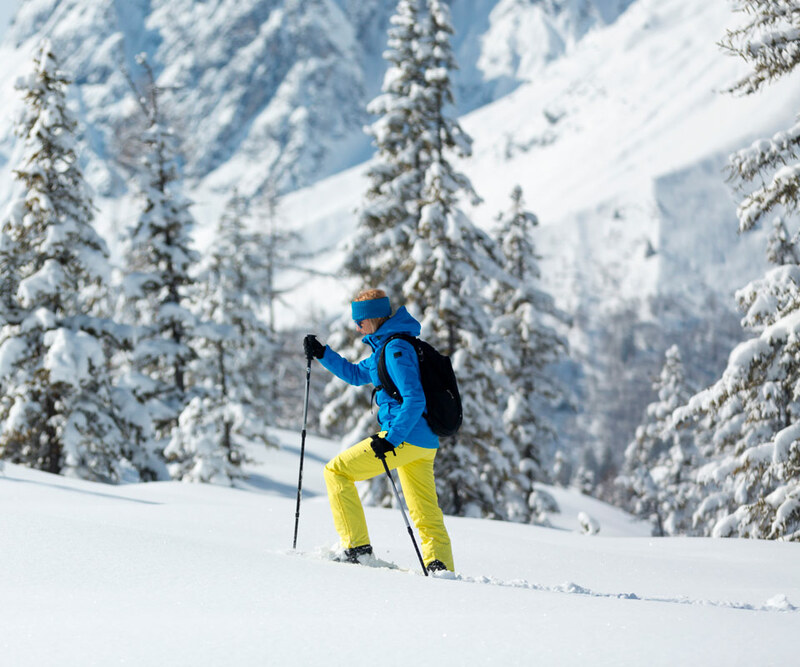 For fans of snowshoeing and snow walking, cross country skiing centre Gallium also offers numerous routes for snowshoeing (snowshoes) and Nordic walking, departing from the Base chalet at Campomulo or from the shelter Moline. If you wish, you can go snowshoeing soft snow, enjoying full of wide open spaces, large distances and great silences that characterize the North Highland Terrace. 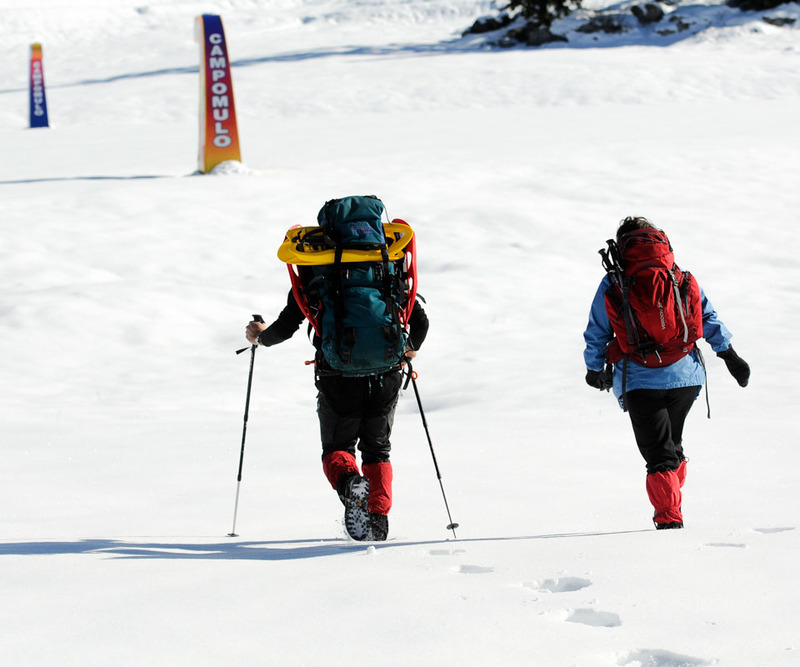 The snowshoeing soft snow is really impressive, but as it requires a large expenditure of energy, routes departing from the Base chalet at Campomulo have always fought to reduce stress and allow the smoothly Nordic walking is that the snowshoeing. ▆ ▆ Meimerle, 5 km long path. Other routes, departing from Moline, are not off the beaten path, so you can fully enjoy the untouched nature of these places. If you want to deal with the entire route starting from the refuge base chalet at Campomulo, given the considerable distances, it would be ideal to reach the refuge Adriana Malga Moline on the first day, stay overnight and run the rest of the walk the next morning. An alternative for those who didn't hear or didn't want to deal with the full path, is to reach by snowmobile Moline hut and from there continue on snowshoes. Paths with departure from Moline are not beaten and are suitable for those wishing to explore discovering nature in winter snow. • the paths can be followed freely, in each direction, following the indications of the signage. • In short stretches of adjacent cross-country skiing path, keep the direction indicated on signage, in single file. • Cross country ski trails are not to be damaged in any way (regional law n. 18/1190). • Respect nature, avoid unnecessary noise, do not damage the undergrowth and bushes and don't leave waste of any kind. Admission fee: €5.00 per person, including the parking space. 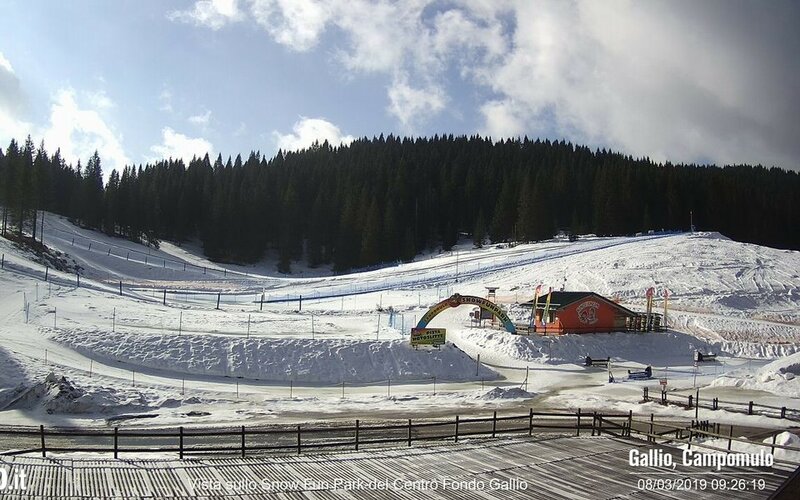 Hire of snowshoes and poles: €10.00 (entry included).